I am a Woman! A Multitude of a Million jobs plus Love. I am the mother of three biasedly amazing his Elementary, Middle School and my shing senior in College i love my family, my pets and garden- the Betty I am shown everyday. Each day I search for something new to learn!! If I am blessed to find something good I immediately shredded with otherd truth is only as good as it is know so spread it around!! I love to write ( I have been really working get it together ) this think I might break out of my shell! Or sell few cards! I love my and play in my yard. Reviewing products is my way of passing on important information for people who care about the items they use in all walks of life. Ithe. Let's me shine the real.world. outwardly!! I love it!! Easy review this is the first coconut oil I tried and it has made significant changes in my lifestyle! I now use it to swish in my mouth during the shower to help my teeth. I use it instead of butter for all backing get needs. I also a firm believer in companies reputations! Nature's Way ExtrTa Virgin Coconut Oil! Well there company makes me happy with the things they do. 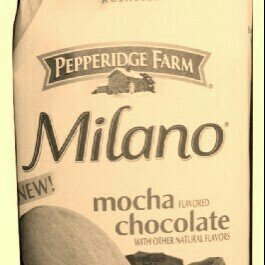 Pepperidge Farm Milano Mocha Chocolate Cookies are a must have on hand goodie! As the mother of three and a happy homemaker, having a little bag of pure indulgence is not only required but amazing! The cookies are moist to a point where they do not crumble! They melt in your mouth with a lingering kiss if chocolate and the famous Milano Cooke taste! I recommend all ages to try these, and then hide a bag just for you!! Be a way to. Keep. Curl.without wet look or frizz. Would. Use it right after the shower before hairdryer use. Remember using geat products ages just a little and rice.. to let it do what it is supposed to. Boogie Wipes have made many small and large noses a happy nose. During our lives we often have S'Not problems! Fear not! These easy to use, sealed perfect sized containers. 1) Small Package carry in your purse, is sealed, flip top pull one making the next ready to come up, and make your nose happy. 2) The 90 Count Canister! Great for desks, schools, offices. You have Unscented, Fresh or Grape to keep the S'Not monsters at bay! Boogie wipes have been used to stop noses from getting sore when you end up blowing your nose a lot and that is a huge bonus! Kids feel much better with happy Noses! They are filled with Saline, Saline - your body loves this, needs this and makes dried on boogers easier to go on the tissue instead of pants, tables or the floor. As the mom of three - Boogie Wipes have come in handy so many times. I highly recommend them! I love Smart Water - it makes me the happiest person around if I need bottled water and wanted to feel good. One it is a coke family product Yeah! Second the electrolytes in the water make it better for my body than Sports drinks that are full of carbs! Therefore I believe, that above all Smartwater is the number one bottled water in my opinion - I try to always drink water from a owned container, not plastic, but if I do this is my one and only choice!